The Promenade collection is sleek, simple, and elegant. Perfect for a faster pace of life, this collection is convenient and low-maintenance. The lightweight aluminum frames will not rust and they are easy to maneuver. The powder coat finish and Textaline sling makes this collection virtually maintenance free. 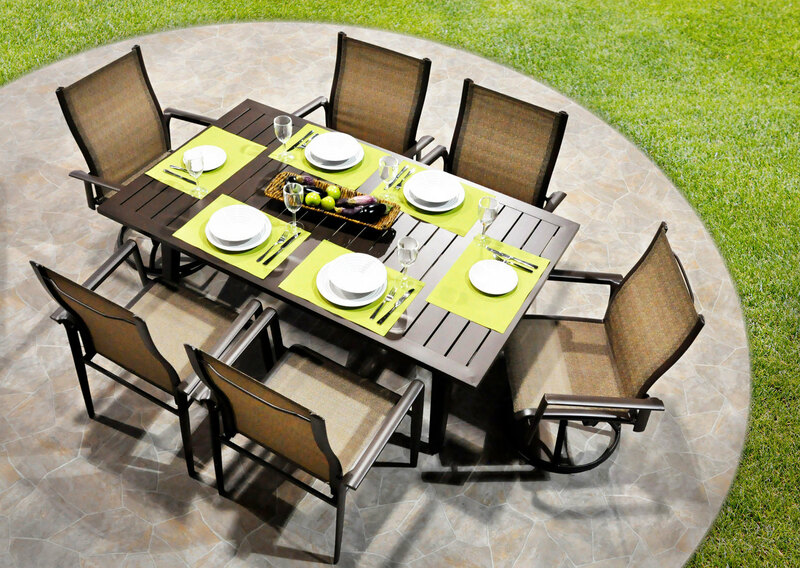 It’s sleek and comfortable and sure to make your summer setting even better.